But not a long one, I expect. I did a quick Kindle conversion and the mobi and epub files came out big. As in 98MB and 66MB big. The problem is likely that the art I put in needs to be shrunk. I am learning more about the self-publishing process, This will be important when I try to create a Kittygirl book, since that will have lots of pictures in it. P.S. I just reduced a couple of the art pieces by about 70 percent. That is promising. P.P.S. The expended Kindle version is up. Feel free to buy and make me 35 cents richer. I’m selling my EXPANDED Super Bad Hair Day book on Saturday July 14! 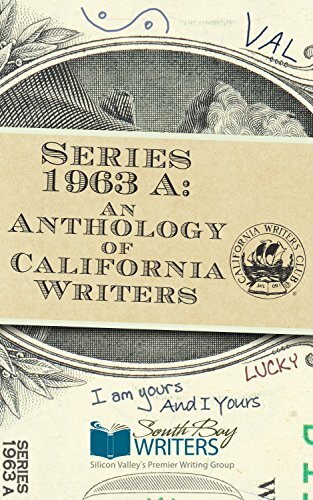 I will sell at AuthorFest 2018 (San Mateo Public Library, 12-3pm) and at Fremont Area Writers Group Book Signing (Newpark Mall, 10-11am & 3:30-6pm) this Saturday, July 14. 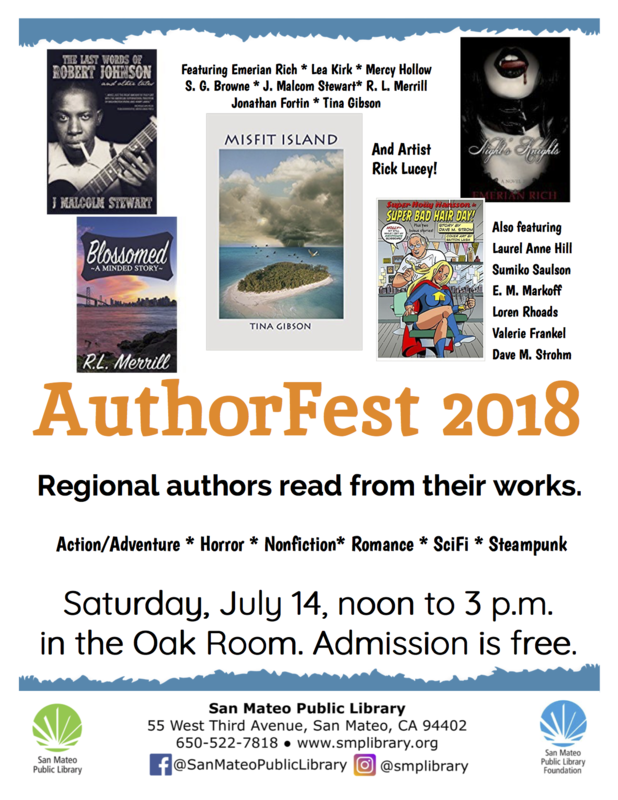 At AuthorFest 2018, at the San Mateo Public Library (55 West Third Ave, San Mateo, CA), a bunch of local authors will be selling books and doing readings from 12-3pm on Saturday July 14. Come and meet cool SF peninsula authors! And yes, I will PERFORM five minutes of one of my stories! Come and buy my new expanded Super Bad Hair Day CreateSpace book! 140 pages of superhero prose goofy goodness (well, about 6 pages are artwork I paid nice artists to draw at comic book conventions). Download a PDF about the cool AuthorFest 2018 authors! 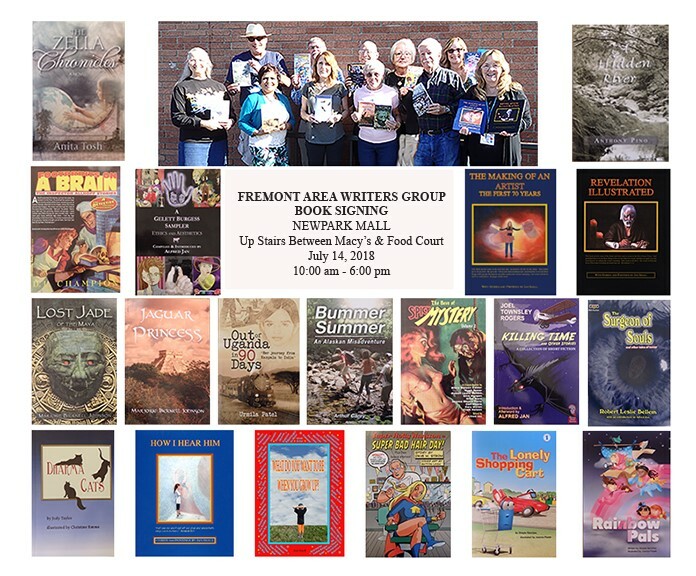 On the very same day, from 10-6, at the Fremont Area Writers Group Book Signing at Newpark Mall (2086 Newpark Mall, Newark, CA) upstairs around the railing between Macy’s and the Food Court, I will also be selling my books in the morning and the afternoon. Yes, I will be driving to San Mateo at about 11:15 and I will be back around 3:30. Meet cool East Bay writers! I will burn gas. But I like these book selling events. Practice for when I become the next Stan Lee. P.S. I will upload another CreateSpace version to fix a few missing dialog tags in the Intellecta-Rhapsody script chapter. Not a big deal. But I still need to upload this expanded version to Kindle, and that is a big deal, so do not buy the Kindle version yet. P.P.S. And I will sign my book! Discover the inspiring message I pass on to ALL my buyers! I have had the Createspace book updated and had 20 copies printed for a couple of writer book sales next weekend. However, I found a tiny glitch on the cover. Barely noticable, but I will fix that. I also need to update the Kindle version to the expanded version. Soon you can order if you wish to.